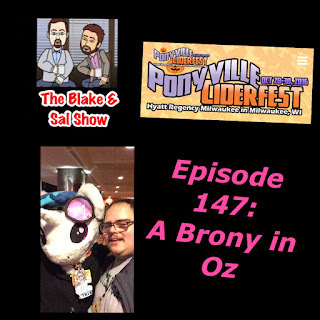 Kyle attended the 3rd Annual Ponyville Ciderfest at the Hyatt Regency Milwaukee and is here on this special edition of the show to talk about it and his experiences. 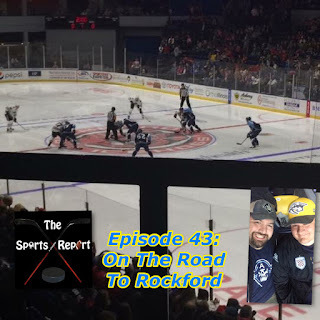 Blake & Scotty head on the road to Rockford for the Milwaukee Admirals and Rockford Icehogs game. It's fun game with alot of fun conversation and a shootout finish. Sit back and enjoy some really cool sounds of the game. What will main event on Sunday, Sasha Banks vs. Charlotte or Kevin Owens vs. Seth Rollins? Why did we spend a month hearing The List if Chris Jericho is not on the show? Are three Cell matches too many? These questions are discussed and more as they preview WWE Hell in a Cell 2016. 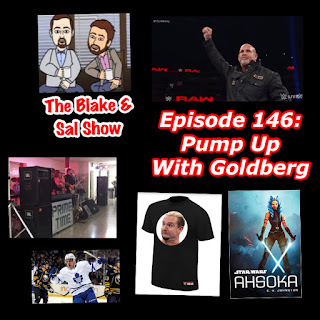 Sal is back from his crazy work travels to breakdown Goldberg's return to WWE, James Ellsworth's improbable rise to fame and the Ghostbusters Honest Trailer, Auston Matthews, other news stories and then talk about their favorite songs to pump up their energy to. Goldberg is back and Mark is in full fanboy mode talking about it. After discussing some news, the guys discuss all things Goldberg and try to answer a question Blake has, and it's simple, why? There was a Stanley Cup Final in the late 90s that didn't have Detroit, New Jersey or Colorado winning and this is the one. Join the guys as they goto Buffalo for the third overtime between the Dallas Stars and the Buffalo Sabres. Despite some tech problems it turns into a fun show. Live from the Kern Center, Blake, Scotty and Erik sit back and enjoy some preseason Admirals hockey. Everyone is cold, Scotty is hungry and honestly the game isn't that good. But this is a fun show with the sounds of the game. So plug in your headphones and try not to get cold as you enjoy some of this game with the guys. Where's Sal? 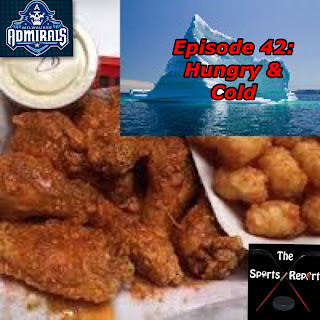 Find out as Blake brings in a special guest co host to help discuss a crazy World Cup of Hockey and then there is a big preview of WWE No Mercy. TNA ownership rumors, ROH and TNA PPVs and WWE No Mercy are the main topics of conversation on this late night recording. The guys debate over what's better The Hardys or The Broken Hardys (DELETE!) and Mark has a major issue with AJ Styles as WWE Champion which causes a very heated discussion between the hosts. Sit back and enjoy!